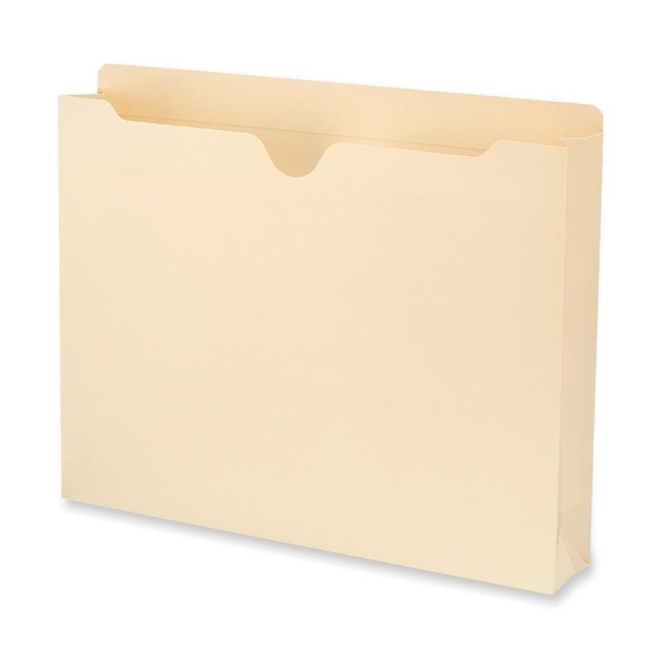 100 percent recycled file jackets are designed for storing charts, photos and bulky documents that do not fit traditional file folders. Made from acid-free, 11 point stock. Full-height sides keep materials from slipping out. Reinforced straight-cut tabs are perfect for frequently used files. Each file jacket expands 2" and contains 100 percent recycled material with 30 percent post-consumer material.